The ageless water witch Arahab has been scheming for eons, gathering the means to awaken the great Leviathan. She aims to bring him and the old gods back to their former glory, caring little that their ascendance will also mean an end to the human race. However, awakening the Leviathan is no small feat. In fact, Arahab can't complete the ritual without human aid. Arahab's first choice is José Gaspar, a notorious sea pirate from eighteenth-century Spain. But when the task proves too difficult for Gaspar, she must look elsewhere, biding her time until the 1930's, when the ideal candidate shows up: a slightly deranged teenager named Bernice. But the elementals have better ideas: the moment the girls go under, Bernice is commandeered for Arahab's task force, and Nia is turned into a strange and powerful creature by a servant of the earth who doesn't want to surrender his green fields and muddy plains—not yet, at least. Add in a hapless fire inspector who's just trying to get his paperwork in order, a fire god whose neutrality has been called into question, and a bizarre religious cult, and rural Florida doesn't seem quite so sleepy anymore. 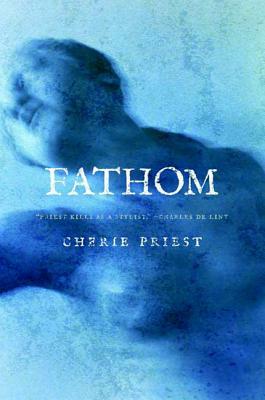 With Fathom, Cherie Priest brings her masterful writing and unforgettable characterization to the realm of near-contemporary rural fantasy. The result is fast-paced, stunning, and quite unlike anything you've ever read.